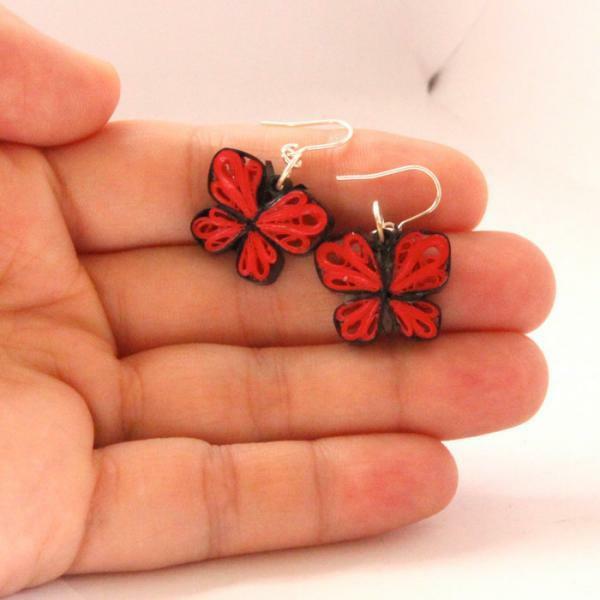 Bold red and black butterflies dangle cheerfully from silver plated earwires. 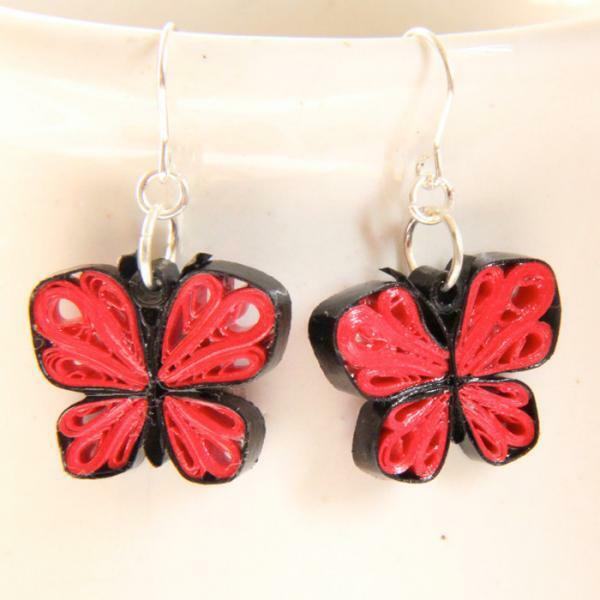 These eco friendly butterflies are handcrafted by the art of paper quilling. I created these sturdy small butterflies from my own unique pattern! 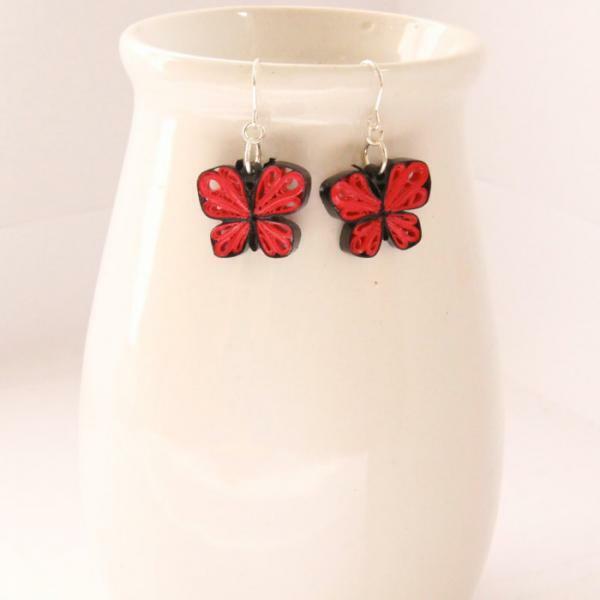 Great for those who adore butterflies but want something a bit more subtle but still adorable! These are also the perfect size for little girls! 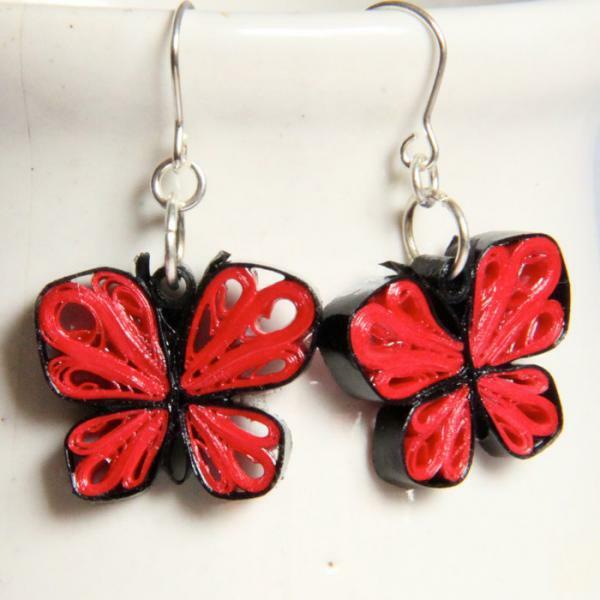 They are hand varnished with non-toxic sealants for a sturdy, water resistant finish. 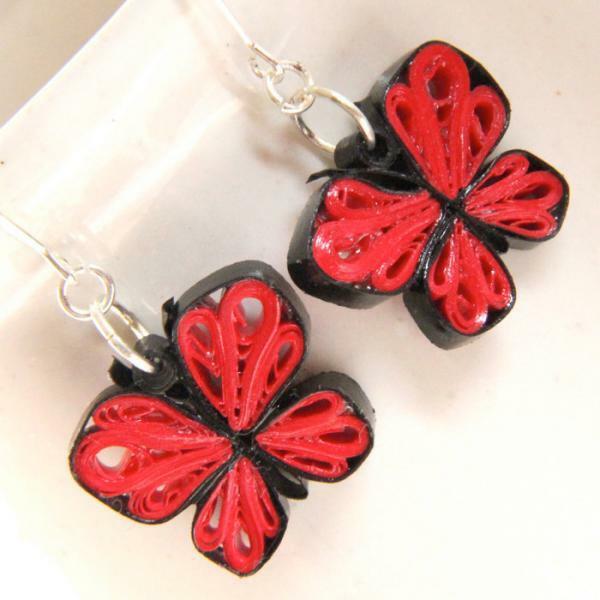 Each earring measures approximately 3/4" (1.8cm) across at the widest point and 5/8" (1.5cm) long. The earrings are finished with niobium findings (the ones in the photo are silver plated, but yours will be niobium). Why niobium? It is non tarnish and super hypoallergenic, I love it!